Chuck Devore was in the CA state assembly from 2004 to 2010 and ran for US Senate in 2010. He has now moved to Texas. He wrote an article in National Review Online on reasons why Texas is succeeding as California is failing. Some excepts are below, click on the link to read the whole thing. The point of this blog post is not to brag about Texas. OK fine, that is not the WHOLE point of this blog post. We want to take every opportunity to remind Texans why Texas is so great. If Texans forget why Texas is a great state, Texas will cease to be a great state! Fast forward to March: Apple announced it was building a $304 million campus in Austin with plans to hire 3,600 people to staff it, more than doubling its Texas workforce. California may be dreaming, but Texas is working. California’s habit of raising taxes to fund a burgeoning regulatory state isn’t without impact on its economy. Californians fork over about 10.6 percent of their income to state and local governments, above the U.S. average of 9.8 percent. Texans pay 7.9 percent. This affects the bottom line of both consumers and businesses. With that money, Californians pay for more government. The number of non-education bureaucrats in California is close to the national average, at 252 per 10,000 people. Texas gets by with a bureaucracy 22 percent smaller: 196 per 10,000. Of course, having more government employees means making more government rules. According to a 2009 study commissioned by the California legislature, state regulations cost almost $500 billion per year, or five times the state’s general-fund budget. These regulations ding the average small business for some $134,122 a year in compliance and opportunity costs. While California has more bureaucrats, Texas has 17 percent more teachers, with 295 education employees per 10,000 people, compared to California’s 252. The two states’ educational outcomes reflect this disparity. If we compare national test scores in math, science, and reading for the fourth and eighth grades among four basic ethnic and racial categories — all students, whites, Hispanics, and African-Americans — Texas beats California in every category, and by a substantial margin. In fact, Texas schools perform consistently above the national average across categories of age, race, and subject matter, while California schools perform well below the national average. Another advantage that Texas enjoys over California is in its civil-justice system. In 2002, the U.S. Chamber of Commerce ranked Texas’s legal system 46th in the nation, just behind California’s, which was 45th. Texas went to work improving its lawsuit environment, enacting major medical-malpractice reforms in 2003. Texas’s ranking consequently jumped ten places in eight years, while California’s dropped to 46th. In the last legislative session, Texas lawmakers passed a landmark loser-pays provision, which promises to further curtail frivolous lawsuits. While California seeks more ways to tax success, it excels at subsidizing poverty. The percentage of households receiving public assistance in California was 3.7 percent in 2009, double Texas’s rate of 1.8 percent. 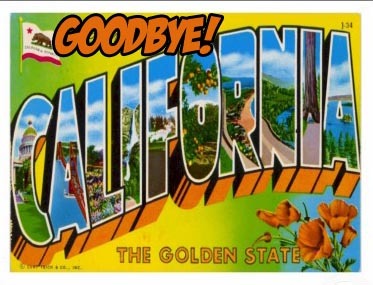 Almost one-third of all Americans on welfare reside in California. With this in mind, it makes perfect sense that only 18 percent of the Democrats who control both houses of California’s full-time legislature worked in business or medicine before being elected. The remainder drew paychecks from government, worked as community organizers, or were attorneys. In Texas, with its part-time legislature, 75 percent of the Republicans who control both houses earn a living in business, farming, or medicine, with 19 percent being attorneys in private practice. Texas Democrats are more than twice as likely as their California counterparts to claim private-sector experience outside the field of law. That Texas’s legislature is run by makers and California’s by takers is glaringly obvious from the two states’ respective balance sheets.